beautiful island. Since then we visit Ischia many times a year every year. La Favola is truely a wonderful place to stay when holidaying on Ischia. Villa "Due Favole". 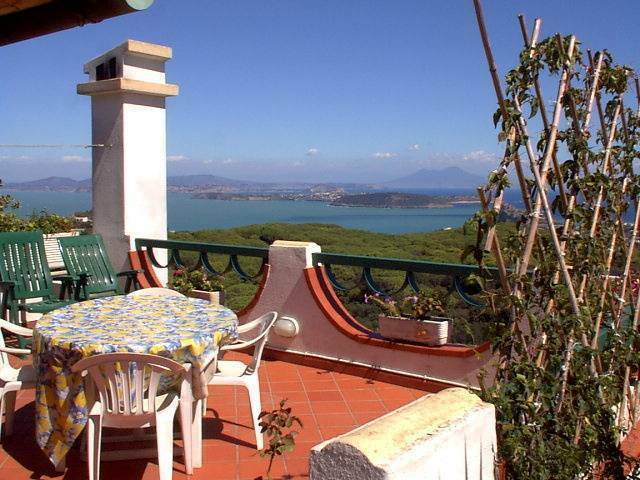 Beautiful villa with splendid open views to the mediterranean sea, situated in Ischia island, the only place in Europe where you can swim in the sea all year round, even in winter. 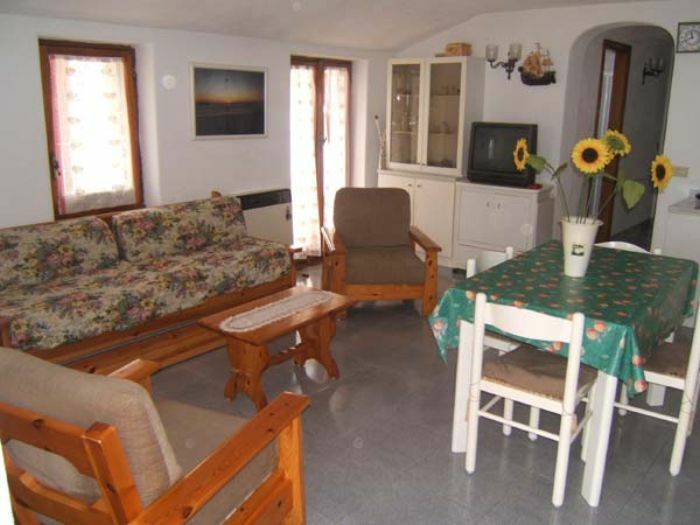 Due Favole: Large, Charming, two storey villa situated at 130 mt. above sea level and is surrounded by tall deep green pine trees. 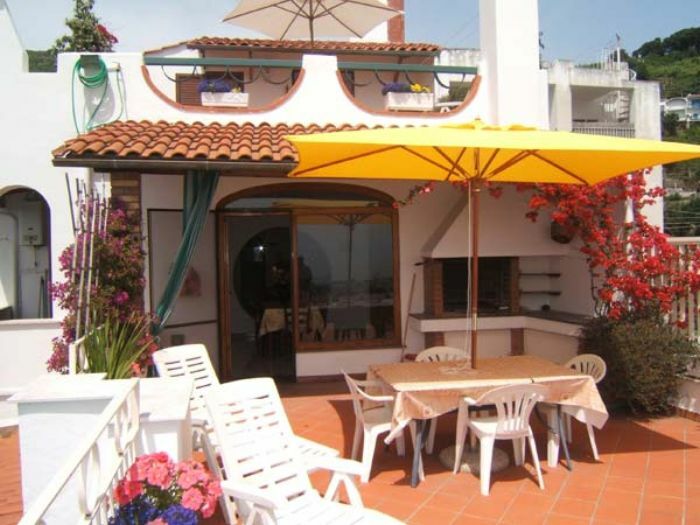 It is very cheerful and extremely panoramic, with astounding open sea views to the Gulf of Naples and Amalfi Coast. 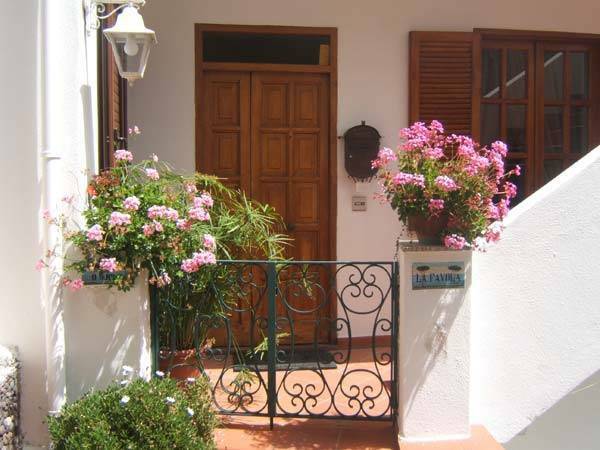 The villa has two independent apartments furnished with comfortable modern furniture. 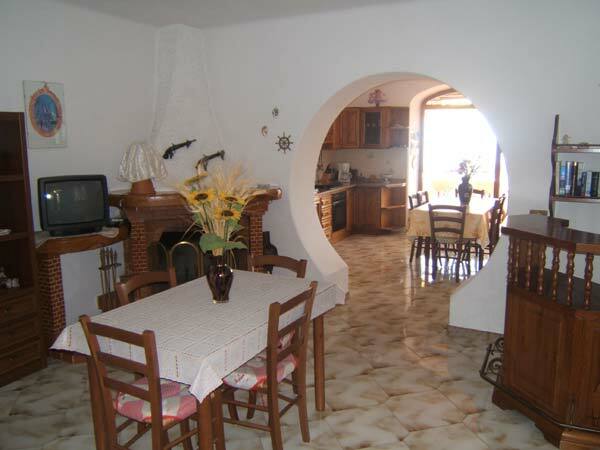 The apartments can be rented singly, or together for larger groups.. La Favola sleeps 3+2, and La Favola Suite Sleeps 5 + 4 . 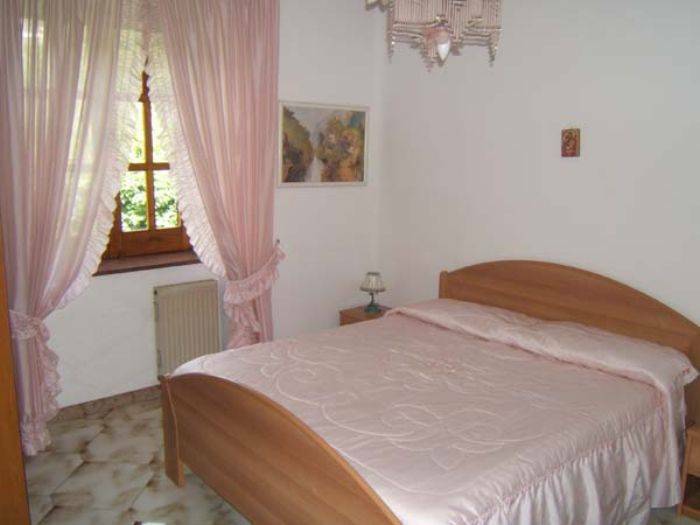 The villa is at only 2, 5 km from the famous "Maronti Beach" and the renowned hot water springs of Nitrodi. In summer, there is a a public shuttle bus that takes you directly to the beach. The bus stop is at 20 mt from the villa. If you buy a weekly Bus Ticket (Euro 15), you can use all the Island's busses with no limitation for a full week. Therefore, you can forget about driving, and you don't really need to bring your own car. Furthermore, a large supermarket and 2 restaurants are located at 100 mt., and at 50 mt, there is a nice caffé, offering - among other things - the famous Napolitan Coffee and Cappuccino, and succulent fresh croissants. One of the most single important features of the two apartments, is the large terrace each of them has, with an incredible open sea view, where you can sunbathe, relax and eat "al fresco". Ischia is the largest Island in the Gulf of Naples. It is also called the Green Island, because of its wonderful vegetation and its woods that in certain areas grow right near the coast line. Ischia has always been a "must see" because of its long sunny and sandy beaches and its very pleasant climate all year round. It is the only place in Italy where you can swim all year round even in winter!!! The reason is that Ischia is an island of volcanic origin, and some of its hot water springs are in the sea, just a few meters from the shore !!! When in Ischia, be sure not to miss its most beautiful beaches (Maronti, Cetara, Ischia Porto, Castiglione and Poseidon Garden Beach), and to experience the very unusual Water Taxis, that can take you to secluded beaches. You should also enjoy one of the mini cruises with several daily departures, that will take you on a boat tour along the Islands' beaches. The southern part of Ischia offers particularly incredible panoramas and innumerable thermal treatment centres, well known also to the Ancient Romans. The Village of Serrara Fontana is the highest of the Island, and from its Belvedere, the breathtaking panorama you can admire is incomparable. At the end of the day, after enjoying swimming in the warm Mediterranean Sea waters, and long hours spent sunbathing, one can either decide to dine on the terrace while enjoying the splendid sea view, or chose to dine out at one of the many restaurants of the island, and enjoy day-fresh sea food and the exquisite traditional Italian cuisine, and taste one of the round body wines Italy is famous for. The weekly price from euro 520 to euro 1400 includ all the consumption of gas for he kitchen, electricity and water, all local tax. Extra the bed linen and bath towels, Euro 8,00 per person,( one time ), Final cleaning ; LA FAVOLA Euro 40,00-LA FAVOLA Suite Euro 70,00. SPECIAL ( only low Season)discount of 10% up to the second week booking, we also apply special prices for honeymoon couple.